My favorite fighter of all time passed away the other day. Tommy "The Duke" Morrison was only 44. In the early 1990's, I was mesmerized by his left hook as were most boxing fans. His gunslinger, "you better get me before I get you" mentality made for can't miss television. Sadly, some 20 years after his peak no American heavyweight has come along to captivate the boxing public like Morrison. I may have old timers disease as I'm 39 now but Tommy was part of the last golden age era of heavyweight boxing. Lennox Lewis, Riddick Bowe, Evander Holyfield, Ray Mercer, Michael Moore, and even the old men Larry Holmes and "Big" George Foreman made for a compelling division. I was lucky enough to be able to travel around the country and attend some of Morrison fights over the years. Instead of writing a compelling history of "The Duke" like most media sites will do, I'll share some Tommy stories and fights that I watched over the years. I first caught wind of Tommy in 1989. He fought an astonishing 19 times that year. 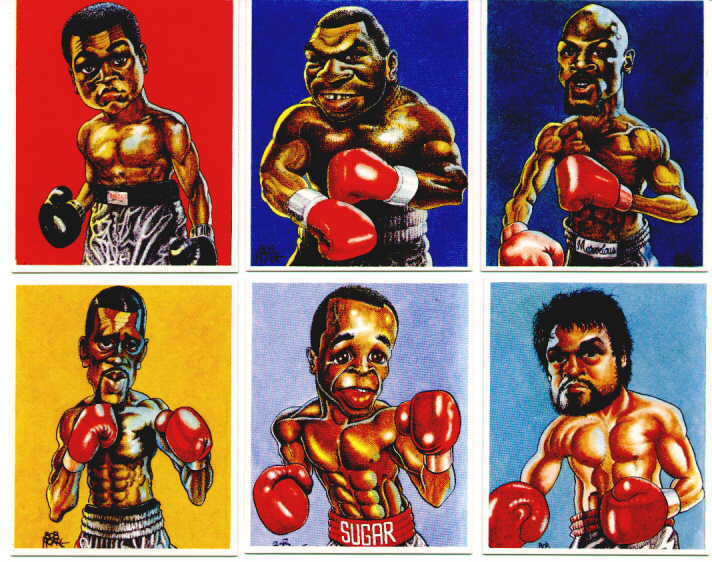 Today's heavyweights fight 3 or 4 times in a good year. Tommy did not fight quality guys but he destroyed them with highlight reel knockouts, similar to what Mike Tyson did. 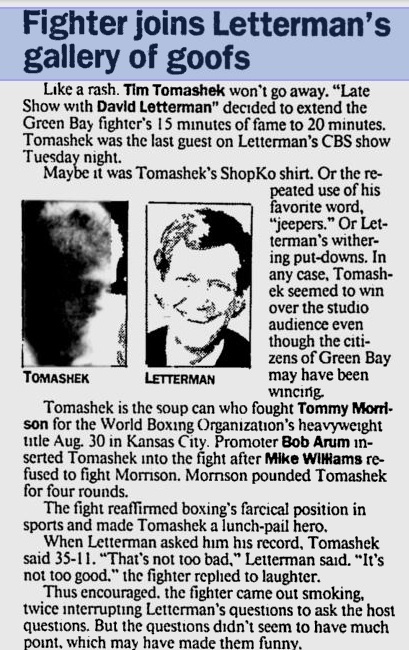 Tommy was on NBC, (yes kids boxing used to be on network TV), USA and ESPN it seemed like every few weeks. He disappeared in 1990 for 6 months and I found out he was going to be in Rocky 5. News travelled by pony express back then because there was no Internet. Tommy returned to the ring in June of 1990, and had 3 easy KO wins that year. On Nov 16, 1990 Rocky 5 was released. I made my girlfriend at the time attended this movie and she fell asleep. I on the other hand, loved every second of it even though it is an awful movie. Tommy started off 1991 with a bang, destroying former champs James "Quick" Tillis and Pinklon Thomas in the 1st round one month apart on USA network. The Morrison vs. Mercer bout was scheduled for August but injuries to both fighters moved it to Oct 18. I was over at my buddie's house, and we tried to watch it on scrambled TV. You could hear the sound but could barley see a picture and we were too broke to pay the $20 bucks for Pay Per View as we were in high school at the time. I was flying solo cause my previous girlfriend dumped me and I think it was because I made her watch Rocky 5. Morrison dominated for 3 rounds according to the audio then got demolished in round 5. I was crushed!!! Of course it turned out to be one of the most brutal heavyweight knockouts since Gerry Cooney Vs. Ken Norton. June 27, 1992: Morrison Vs. Hipp Tommy started the comeback trail in February of 1992. He fought once a month on his comeback trail. I had watching parties most of the fights because they were on ESPN. He won them all with explosive early round knockouts. I graduated High School that summer and for my 18th birthday, my dad took me to Reno, NV to watch the Morrison Vs. Hipp fight as a present. Morrison was a 30-1 favorite. I, I mean my dad since I was not 21 at the time, bet 300 bucks on the fight. The fight was telecast on ABC Wide World of Sports. Tommy started off as usual self but in the 2nd round Hipp hit him and broke "The Duke's" jaw. In the middle rounds, Tommy broke his right hand. My hope of Tommy winning was fading fast. Tommy knocked Hipp down in the 5th round but Hipp was dominating Tommy through the late rounds. Suddenly, Tommy landed a massive shot to drop and finish Hipp in the 9th round. I won 30 bucks for the drama which paid for my fight t-shirt. Morrison became the first heavyweight to win a fight with a broken jaw. In August I was able to meet "The Duke". We were on vacation in Arkansas. Tommy was at an event called "Gravette Days". It was the town he was born in Arkansas. My sister and I were able to get a picture with him. He still had his jaw wired shut from the Hipp fight. 1993: Tommy started off the year in January fighting Carl "The Truth" Williams on HBO as the undercard to a George Foreman fight. If Tommy wins the fight he gets to have a big money fight against George Foreman that summer. He was an 8-1 favorite but Williams was a live underdog. As usual Tommy started off fast and knocked Williams down in the first round and 3rd Round but did not finish him. Morrison, not known for his stamina, ran out of gas in the middle rounds. Williams knocked him down twice in the 5th and almost ended Morrison big payday shot against Foreman. Tommy survived the round somehow and went on to hurt and stop Williams in the 8th. Tommy took a tune-up fight against a bum in March then it was on for June 7 against George Foreman. The majority of fans expected this fight to be a brief slug fest between 2 of the hardest punchers in the sport. Tommy stunned everyone by having a great game plan and out boxed Foreman. He cruised to a easy 12 round decision. Unfortunately for Morrison this turned out to be the high water mark of his career. He was weighing multi million dollars offers to fight either champ Riddick Bowe or Lennox Lewis. Tommy decided on a 7.5 million dollar offer to fight Lennox Lewis in the fall. The 2 camps could never get a location settled so HBO pushed the fight back to March of 1994 on a mega PPV event. Tommy liked to stay busy as a fighter and did not want to wait around till next March to fight. He lined up a couple of what he thought were going to be easy paydays and fights for Aug and Oct. Also Tommy had quiet the reputation of partying hard and not making the most of his downtime. The first fight took place 8-30-1993 in Kansas City. Tommy was scheduled to fight Mike Williams on ESPN. Williams the night of the fight just walked out of the arena prior to warming up and got in a cab and went home. The popular story was that they picked a guy out of the stands to face Morrison. Tim Tomashek was brought in by the Morrison camp in case Williams pulled out of the fight. Williams had missed a press conference earlier in the promotion and rumors were he had "cold feet" about the fight. Tomashek was 35-10 but a pudgy journeyman with a good chin and zero power. Tomashek ran and clowned for 4 rounds before Morrison stopped him. This did earn Tomashek a spot on the David Letterman afterwards. The whole event upset his fan base in Kansas City although Tomashek went longer then Mike Williams would have. Tommy was upset after this fiasco and booked another fight in Oct on HBO. Oct 29, 1993 Morrison Vs. Bentt The fight was in Tulsa, Ok. Michael Bentt was a highly accomplished amateur fighter but only 10-1 as a pro. He was knocked out in the first round in his first professional fight. Tommy says he watched 30 seconds of Bentt on tape and could not believe he was going to make 1.5 million for this fight. I was able to attend this fight. My dad and I made a 7 hour road trip from just outside of Austin, Tx to Tulsa. It was even snowing that night of the fight. The arena was rocking, packed with over 9000 rabid Morrison fans. James Toney was the first main fight and the crowed booed the lack of action from Round 2 on. They wanted blood and knockouts. In talking with some of the fans before the main event some of them were saying Tommy had been out drinking the other night. He was not in shape and trained for only a few weeks. As Morrison made is rock star entrance to "Bad to the Bone" complete with fireworks, my Dad turned to me and said " Would it be funny if Tommy gets knocked out in the 1st?" I never knew my dad was a psychic? Morrison attacked Bentt right when the bell rang, hurt Bentt and backed him into the ropes. Tommy was looking for the quick ending and throwing wild wide punches. Bentt tried a straight right hand that misses, Morrison keeps throwing wild wide shots. Bentt throws another straight right hand and this time "SPLAT"!! Morrison goes down! You could hear a pin drop in the arena. Tommy beats the count but is quickly dropped 2 more times and just like that his 7.5 million dollar payday is gone in a little over 90 seconds. I can still recall the utter disbelief of what occurred. It was the longest 7 hour road trip back to Austin the next day. 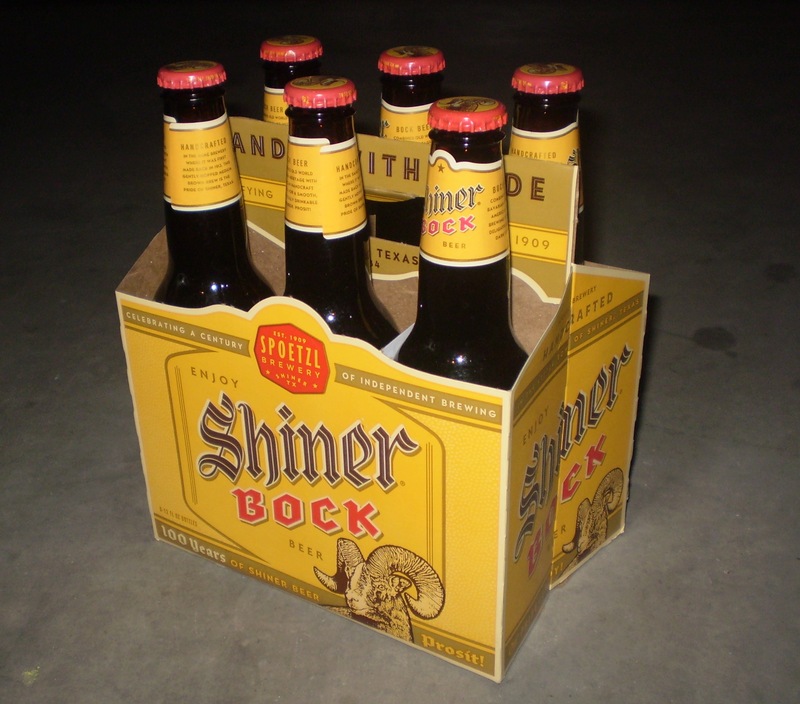 My college roommates felt sorry for me. They put the picture I had of my sister , Tommy and myself on my bed with a 6 pack of Shiner Bock beer so I could drown my sorrows. I was able to communicate with Michael Bentt a few years ago. I told him the story about the epic road trip and he reminded me that the fight was not important but spending that time with your Father was. He is a wise man as I still remember his advice as I have a 7 year old daughter. Now, we come to 1994. Tommy had a few run ins with the law after the Bentt fight but he returned to ring in Feb against a tomato can which he knocked out in 3 rounds. He knocked out Brian Scott in 2 rounds the next month. On May 24 he fought Sherman Griffin in Tulsa at the Brady Theater. My buddy Mr. Buser and I made the 7 hour road trip to watch this fight. Of course I was nervous returning to the scene of the crime. Morrison put Griffin down in round 1 but seemed lethargic all night. He won a easy 10 round decision though. The best part of the fight was after round 8 both fighters though the fight was over and went to shake hands. The highlight of the night was getting to talk to Tommy's manager the great Bill Cayton. Cayton helped orchestrate Mike Tyson meteoric rise to super stardom before Don King got in the way. Morrison next fought 7-18 against 8-8 Ross Puritty. Ross was supposed to be a walk in the park for Tommy. Ross handled Tommy's early attack very well. Morrison had Purrity hurt in Round 3 but did not knock him down. Puritty started to counter punch very well and dropped Tommy in Round 6. A very hurt Morrison managed to get through the round. Tommy started to box and was going to win the fight but he got dropped again in round 10. The fight was declared a draw. It was an awful showing for Morrison as it was a showcase for a fall title fight against Herbie Hide. Puritty's claim to fame later on his career was knocking out an undefeated Wladimir Klitschko. Tommy still was scheduled to fight Herbie Hide in Hong Kong in October. The fighters made it to Hong Kong but just hours before the fight was to start it was cancelled. It turned out that the local promoter did not have the money to pay the fighters. Tommy took the rest of the year off and sued his promoter Bob Arum. 1995: unbeknown to all this year turned out to be the last meaningful year of "The Dukes" career. He started off the year with a couple of "Soft Touches", boxing term, and had easy early knock out wins. By late spring there was talk of a big matchup against Razor Ruddock in June. Tommy fought Terry Anderson on May 1st as a showcase tune up bout for the Ruddock fight. Morrison started off fast and knocked down Anderson early but did not finish him. Anderson started counter punching like Purrity did in the mid rounds and had Morrison in trouble. Morrison was about to watch another chance at a big payday go down the drain. Morrison was able to land a vicious left hook to the body of Anderson in the 7th round and save the day by knockout, this set up June 10 against Razor Ruddock in KC. 6-10-1995: Morrison Vs Ruddock This was a true crossroads fight. Ruddock the aging contender, who had wars with Mike Tyson while losing both, trying to vault himself back in the title mix. Tommy Morrison was the 26 year old contender, who most felt was on his final run to attempt to regain a title. I was lucky enough to fly to KC and sit ringside for this fight. The people who know me can look on YouTube of this fight and see me in all of my 20 year old glory. I was sitting in front of "Charles In Charge" star Willie Aames . The Municipal Auditorium was packed with thousands of Morrison fans. The KC fan base wanted redemption after the Mike Williams-Tim Tomashek debacle the year before. The ring entrance was unique because both fighters came out at the same time with lots of smoke and fireworks. After Michael Buffer did his thing it was time to go to war. Morrison was dropped by a right uppercut early in round 1. Morrison bounced up right away and was not hurt like he was against Bentt. The crowd calmed down but was worried though. Round 2 Tommy landed his patented left hook and hurt Ruddock. Razor grabbed the ropes and was giving a standing 8 count. Tommy hurt Razor again in Round 3 but did not finish him. The Tommy stamina bug begin in round 4 and Razor went to work. Round 5 and 6 the crowd was have feeling of doom and gloom for Morrison. Razor was coming forward and Tommy was getting busted up. Razor hit Tommy with a left hook mid way thru Round 6 that sent Tommy reeling against the ropes. The crowd and myself thought this was then end of Morrison's career. As Razor went in to close the show he missed with a right hand. Tommy counterpunched and landed the best left hook I've ever seen in person. Ruddock went down like a stack of cards and the rest was history. The crowd celebrated like we all had won the lottery! Strangers hugging and giving high fives. Hell I gave Willie Aames a high five. The crowd stayed and cheered tommy for a good 30 minutes after the fight. I've been to many, many, many sporting events in my day but this ranks up there with the best of them. 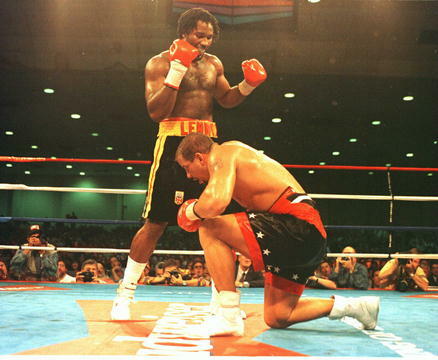 Oct 7, 1995 Lewis Vs. Morrison Tommy and Lennox Lewis finally met in Atlantic City. Lewis was coming off a shocking 2nd round KO to Oliver McCall in 1994. Morrison was relevant again after the Ruddock knockout. The fight was another crossroads battle with the winner poised for major paydays and the loser starts at the bottom again. Morrison actually had a deal with champ Riddick Bowe for this date but the fight was cancelled right before the press conference to announce it. Bowe went on to fight Holyfield in the trilogy instead in November. The fight was important to me as well. I asked the lady I was dating at the time to watch it with me on HBO, she said yes so I knew I had to marry her! We did marry in Oct 1997 by the way. The build up to the fight was pretty weak. Tommy seemed very quiet and not his normal brash self. The night of the fight I had a feeling of doom. Morrison entered the ring a 2.5-1 underdog. He fought even worse. My future wife commented that he looked scared during the ring walk. She was right as Tommy was not competitive at all and was destroyed in Round 6 after 4 knockdowns. I don't think he landed a meaningful punch the whole night. I was able to discuss the fight with his former trainer Tom Virgets many years later. He said the game plan was to attack Lewis like he did Mercer and he was stunned when that never happened. Lewis is a heavyweight legend but it disturbs most Morrison fans that Tommy made such little effort in the fight. Feb 10, 1996 Morrison Vs. Weathers Another February comeback was planned for Tommy. He had just signed an alleged 3 fight 38 million dollar deal with Don King. He was to have 2 tune up fights then a fall clash with Mike Tyson. I say alleged because he was only going to receive 50 grand for the Weathers fight. I picked my future wife up and we were ready to watch the fight on Showtime. My second favorite fighter of all-time, Felix Trinidad, was the main event. I was ready for a fun night of boxing. The broadcast started as normal then as soon as they went to the announcers live, they mentioned Tommy would not be fighting tonight as he was suspended. 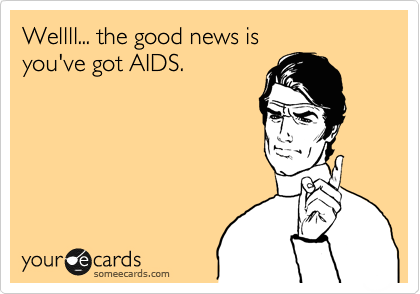 My little brain said "Oh Steroids" but before I could get the words out of my mouth, My future wife said "I bet he has HIV!!" Of course I did not believe her but when they interviewed the head of the Nevada State Athletic Commission and he said "World Wide Suspension" the cold hard truth started to slowly enter my mind. It has to be something serious and I was in a fog for days. I could not believe my boxing idol could have such a thing. I listened to the Magic Johnson press conference a few years back but that never hit home. A few days passed then Tommy went on TV to confirm the news. I watched in silence as he made his statement. I learned a valuable lesson. My future wife was and is always right. We have been married almost 16 years now. Tommy Morrison fought 1 more time in 1996 in Japan and recorded a first round knockout on a George Foreman undercard fight. I did order the PPV card just to watch him. He had many well documented outside of the ring struggles after that. I was able to talk to Tommy many years later in the early 2000's as he had a message board and website. I lost track of him in 2006 but he resurfaced in 2007 with a fight in West Virginia. The fight was shown on Versus TV but only still photos were used and an interview with him afterwards. He fought again in 2008 in Mexico on a PPV card. He was pulled from the TV portion at the last minute. The fight made it to YouTube a few years later. Tommy won by early KO but was a shell of his former self. He also fought in some MMA contests which he won but they were awful to watch. In 2010 and 2011 he had a few comeback fights planned but none came to fruition. In the fall of 2012 I received word that Tommy was near death. The fact he made it thru till Sept 1, 2013 shows what kind of warrior he was. Boxing fans might discount him because he lost 2 out of the 3 huge fights he had. My friend said "he had a million dollar left hook and a 10 cent brain" It was amazing to watch him take 1 step forward and 4 steps during his career. I think that was his appeal though, like watching a train wreck. He still brought something into the ring in the heavyweight division that has not been seen since.